Is what I'll be doing for a little while longer. No deadline considerations, just quality ones. I've had a few enquiries as to why the long time 'light blogging'. 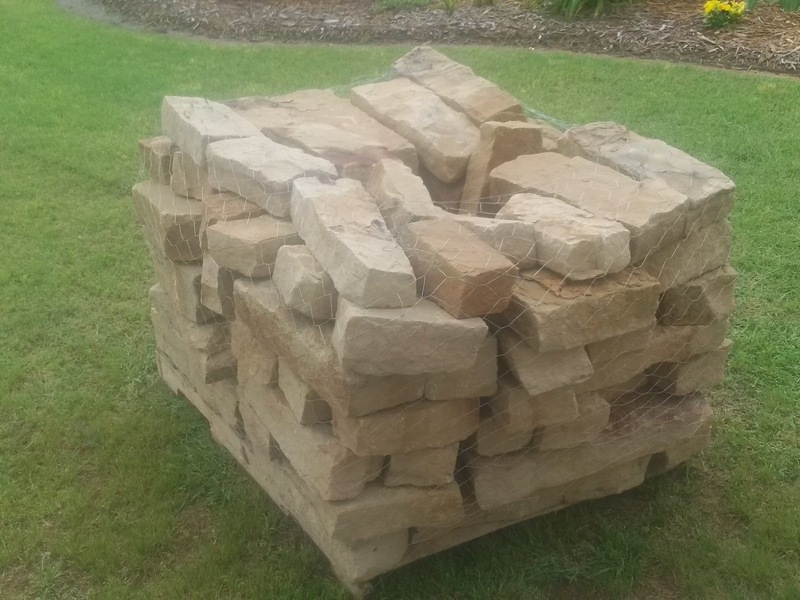 I hope to come out from under a rock someday and hit some of the big topics anyway, but here's what I've been spending my off-work hours doing since the weather was still cold (for Texas). I designed what we call 'the shed' (~500sq ft) for construction at the secret location of stately Mac Manor somewhere in the wilds of Parker County Texas. 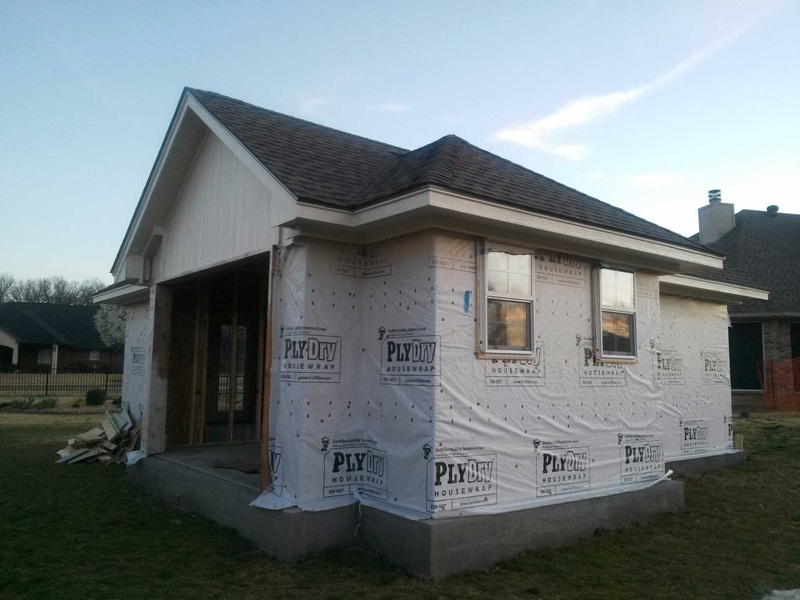 I have played general contractor for the heavy stuff, am but doing the insulation, drywall, trim and paint, and also building the large bay barn doors myself. The foundation slab is twice typical thickness with 2ft deep perimeter and cross 'rails' with up-sized rebar so it isn't going anywhere. 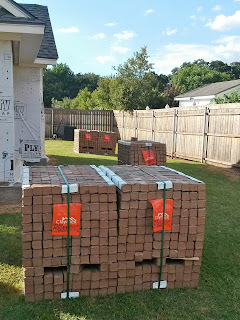 Believe it or not, the most time consuming part of the project (so far) was finding a concrete contractor who would take the job. Couldn't find one forever. Seems the job was too small for the guys who do real house foundations and too complex for the guys who pour patios and driveways. I would have done the electrical, but my main breaker box at home was so full I needed a new panel and the wiring had to be dragged all the way from the other side of the house AND a buried cable run was needed to get 110v/220v to the shed. Better to pay someone who does this kind of stuff all the time, I say. 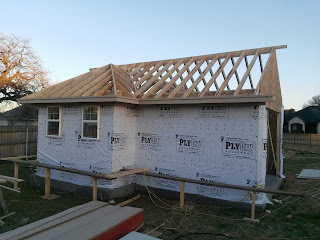 Framing the roof. If I had known how complicated a cathedral ceiling, and storage area over the side room, would make the insulation and drywall job I may have simplified it some. Live and learn. 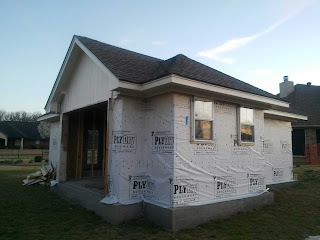 Drywall beginning. I had to temporarily hang the doors I built to keep the Spring storms from blowing through. The table you see on the sawhorses is 4' x 8' and was where I built the template for the bi-fold barn doors (80 lbs per panel plus or minus). Finally! the brick came. It matches my house and is part of the last batch the company will ever make. I didn't do this a moment too soon. No finished photos will be posted except maybe from the back. You'll have to take my word for it-- it is IMHO-- freaking awesome! (And the neighbors seem happy since I knock off at 10 every weeknight.) I'm now re-hanging the barn doors permanently so I can put an A/C in there and finish the drywall. 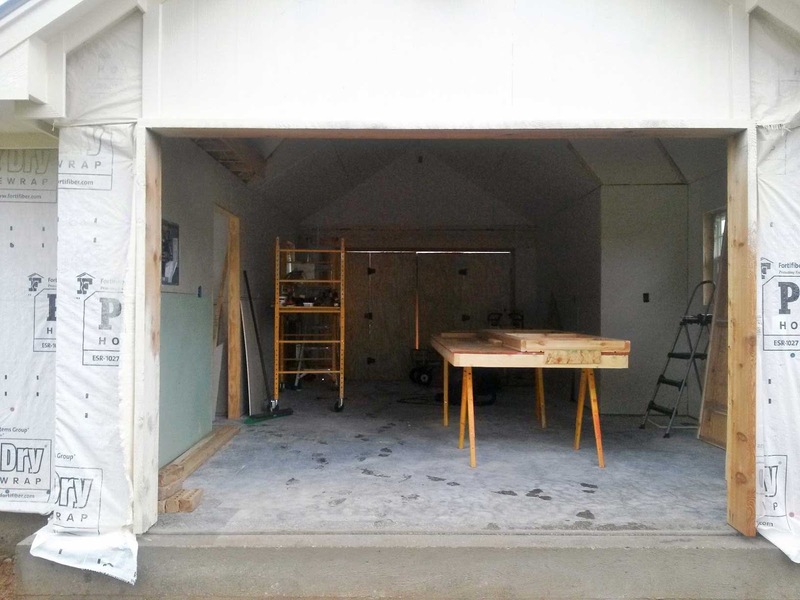 Have you ever tried to finish drywall joints when the air AND the wall is about 100 degrees F? Fugeddaboutit! This is just too funny and too easy to debunk for me to pass up. I just gotta point out the stupid involved. Kyle Mizokami tripped over a thread in Reddit and built a nice 'on the one hand, but on the other hand' F-35 "narrative" for Popular Mechanics that is so lame it answers the question as to why most media writers aren't paid as much as they think they're worth. It is a shame too, because with really very little research, and demonstration of a minimal understanding of economics--specifically the 'time value' of money and proper use of deflators -- he could have contributed significantly to killing the false narrative that the F-35 program is 'plagued by (fill in the blank)'. Instead, he tries, and fails to make the F-35 look bad, using numbers that when applied correctly only make the point that the F-35 program, and the problems that have been encountered are in no way unique. A New York Times newspaper article describes a beleaguered American fighter program enduring delays, escalating costs, and technical problems. Another article about the F-35 Joint Strike Fighter no doubt, right? Nope. It's an article from 1977 about the F-16 Fighting Falcon. The F-16 was the original multinational fighter. Developed by the United States with Belgium, Denmark, the Netherlands, and Norway as partners, the fighter was designed to be an agile, lightweight, daytime fighter to replace aging fighters such as the F-5 Freedom Fighter and the F-104 Starfighter. At $6,091,000 per unit—$27.1 million when adjusted for inflation—it was also supposed to be inexpensive. Many of the F-16's past problems are mirror images of the issues we see in the F-35. According to the article, the Air Force expected the F-16's research and development costs rose by some $7 billion to reach $13.8 billion by 1986. Adjusted for inflation, that's $54.7 billion in today's dollars. F-35 R&D costs, on the other hand, are estimated at $107 billion dollars to date. Like the F-35, the F-16's problems arose from technological issues and design challenges. The fly-by-wire mechanism of the F-16, in which an aerodynamically unstable but highly maneuverable aircraft was tamed by computers to keep it flying, was an expensive problem that was eventually solved. Like the F-35, the F-16 had problems with its engine and also had to be modified to placate U.S. allies who wanted a fighter capable of air-to-ground missions, a real multi-role fighter. Still, as similar as the problems between these two planes are, the F-35's problems are much more intense. The F-35 was originally slated to cost $50 million apiece—nearly twice the original cost of the F-16 at today's prices—but the three versions of the plane currently run anywhere from $112 to $120 million each. The F-16 encountered months of delays, but the F-35 A/B/C models will, on average, be delayed half a decade. Yes, America and her allies have been down this road before, but this time it is a lot rockier. First, the 'costs' narrative whereby Mizokami attempts to make it look like the F-35 is MUCH worse than it's predecessor....when it is not that different at all. RE: The F-16's “$6,091,000 per unit—$27.1 million when adjusted for inflation”. This is an odd disconnect from Mizokami's unit cost claim and the R&D figure he used for the F-16 DOES equal about $54B in 2015 Economy Cost, so who knows why the author came up with a lower number for the unit cost of the 1977 F-16 in “today’s dollars”. It was widely touted early in the F-35 program that we could develop three aircraft for the cost of 1.5 to 2 aircraft. Craptastic! RAND policy pieces non-withstanding, let's note that the estimated F-35 R&D costs that Mizokami uses (and we will watch these estimates as they become 'real') are running about 2 times that of the 1977-era's F-16 R&D costs when adjusted for inflation. That seems pretty reasonable, considering the F-16 is the cheapest of the 'Big three' aircraft designs (F-16, F-18C/D, AV-8B) whose capabilities drove the requirements for the F-35 design. Even the F-16 as we know it today involves much more content and cost as Mizokami indirectly acknowledges than that of the 1977 F-16, so how about we consider all the additional ‘content’ the F-16 now has that it didn’t have in 1976-77? What was the later ‘development cost added’ that came with the later ‘value added’? We can't compare apples and apples directly, but we can get an idea about unit costs at least . In 2012, it was said that the F-16V would be less than half the “then” cost (Richard Aboulafia) of the F-35. 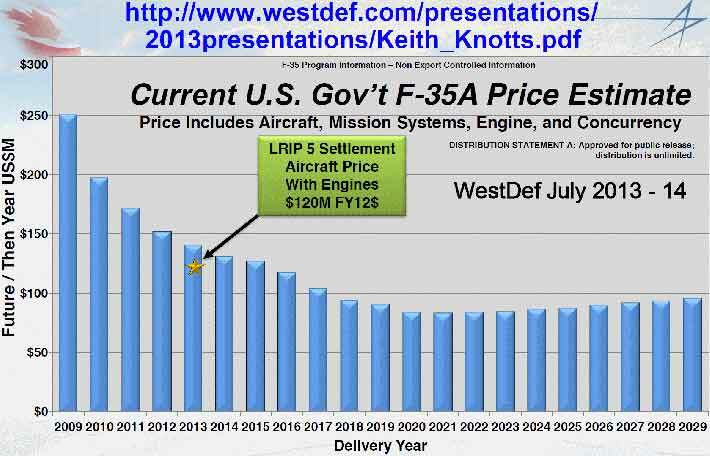 Anyone remember the 2012 F-35 unit cost? It was $125-150M a copy depending upon who’s chart you’re looking at in whatever FY$’s being discussed. 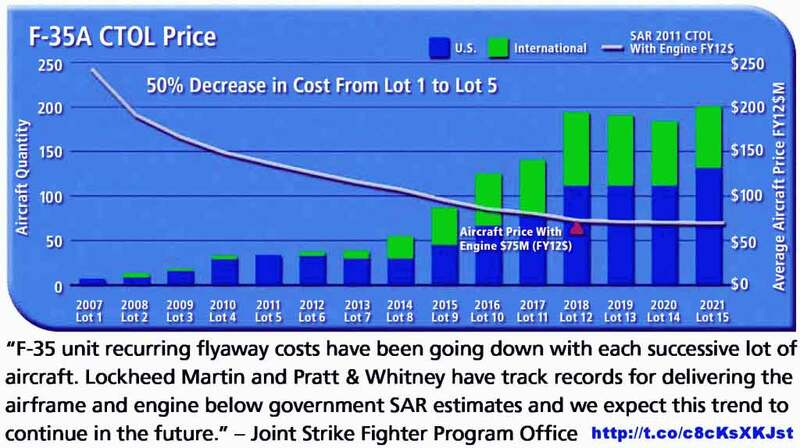 (see charts lifted from F-16.net's voluminous archives to the left) That would make the F-16V somewhere in the $60M-70M range in 2012 dollars. Guess what that is in 2015 dollars? Go ahead do the calculations). That's right. the F-16V would probably cost $70M-$80M (Economy Cost) in 2015 dollars. Note that also does not include the same 'content' that comes on an F-35. 1. The willfully ignorant or gullible who’ll fall for anything. 3. The internet's village idiots. Enough about dollars. How about some history instead of Mizokami's stories? RE: "Like the F-35, the F-16 had problems with its engine and also had to be modified to placate U.S. allies who wanted a fighter capable of air-to-ground missions, a real multi-role fighter." This rather poor documentary looks even sillier now than it did at the time, given the successes of the F-16 (airplane and program) that came soon thereafter. But it's value in illustrating how the stripped down version of the F-16, the day-time knife-fighter that the faux reformers wanted, was a politically driven, and not operational requirements-driven configuration endures. Of course, we could also simply review the history of the development to see the USAF always wanted more on board the F-16. This was made possible only by advancements in small electronics technology that then had to be developed for military aerospace. And TANSTAAFL. RE: "The F-16 encountered months of delays, but the F-35 A/B/C models will, on average, be delayed half a decade." 'Delays' are a measure of the difference between 'time planned' and 'time scheduled' to reach some meaningful achievement. If you want to compare the F-16 development with the F-35's, then the baseline F-35 Block 3 will be achieved two years faster (with about 1600 fewer aircraft produced) than the F-16's Baseline Block 30. The biggest difference between the F-16 and F-35 programs is the differences in size of the initial 'brass ring' being sought. Finally, a minor nit to pick about the F-16 so-called 'engine problems'. If Misokami cared to do some research, he'd find that the problems never really affected the F-16 like the F-15, partially because of the installation, and partially because the F-15 was the lead user o the PW F100. Misokami's story could have been a good one. In any case, if Mizokami read a little more widely, he would have known about this part of F-16 development 'history' over NINE Years ago. Yes, that's right. All has proceeded as I have foreseen.